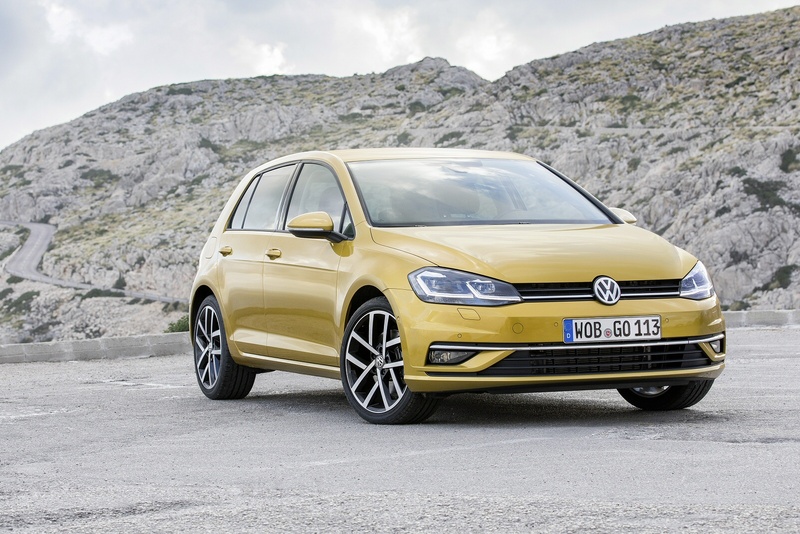 If you're looking for an economical family hatch and you've a reasonably-sized budget to work with, start with the improved Volkswagen Golf 2.0 TDI and then consider other options. Chances are you'll come back to this model. With 150PS of grunt, 67.3mpg fuel economy and a chassis that delivers real fun, it's about as good as hatchbacks get. "Just buy a Golf." It's a bit of advice usually doled out by motoring journalists who don't want to listen to another protracted 'What car should I buy?' diatribe over dinner. Yet there's a reason for it. Volkswagen Golfs have tended to be so reliably excellent that it's hard to go wrong following this line of reasoning. Yes, some have been a little dull, but in choosing Volkswagen's hardy perennial, you always knew you weren't going to be saddled with a lemon. Still, times change and in order to make sure that I was still doing a sterling service for dinner party guests before ushering them onto more stimulating topics of conversation, I decided to get behind the wheel of what might be the pick of the recently improved Golf range, the 2.0-litre TDI 150. The TDI diesel badge that adorns this car's sharply chamfered rump might lull you into thinking you're in for a soporific spell behind the wheel. That's far from the case. The common rail diesel sparks up with a bit of a chunter but settles down into a modest idle. It's not so smooth that you're going to forget which pump to pull up at but it's far better than the agricultural old VW Pump-Duse diesel engines. It's more flexible too, this latest 150PS unit offering its peak torque of 320Nm between 1750 and 3000rpm. It feels seriously muscular and it works really well with the DSG twin-clutch gearbox. Sport mode will plug you straight into the meat of the torque and will hold gears a little longer if you're coming into a corner. This improved Golf Mk 7 does corners really rather well. There's just enough movement in the body to signal clearly where the limits of grip are, but punt the car into a well-sighted bend and it feels like a decent hot hatch in its grip, steering response and body control. Its performance in a straight line is more warm than hot, making 62mph in 8.6 seconds on the way to a top speed of 134mph, but it's a car that's easy to flow along a decent road with. You rarely feel the weight of the diesel engine in the nose and the expensive multi-link rear suspension means that there's little bump and thump entering the cabin even on poorly-surfaced roads. 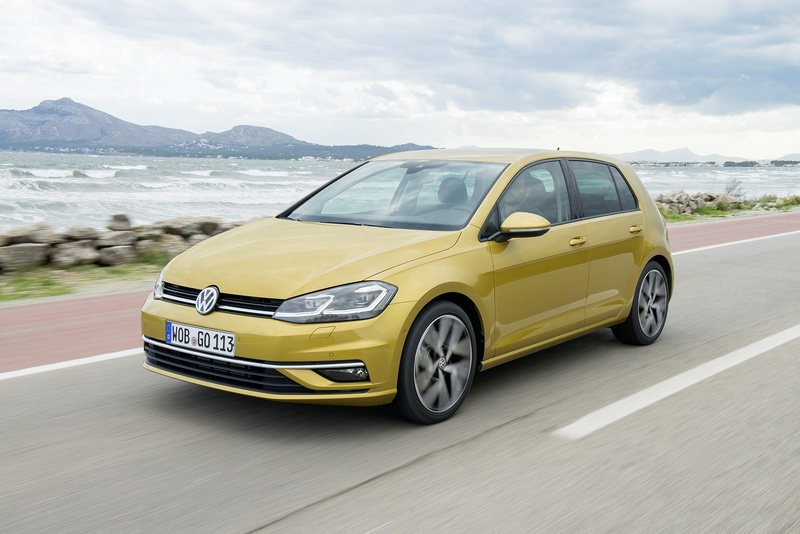 A Golf with the 2.0-litre TDI 150 engine is priced from just over £22,000 for a manual three-door in SE trim and tops out at just over £26,000 for a GT trim with five doors and a DSG gearbox. 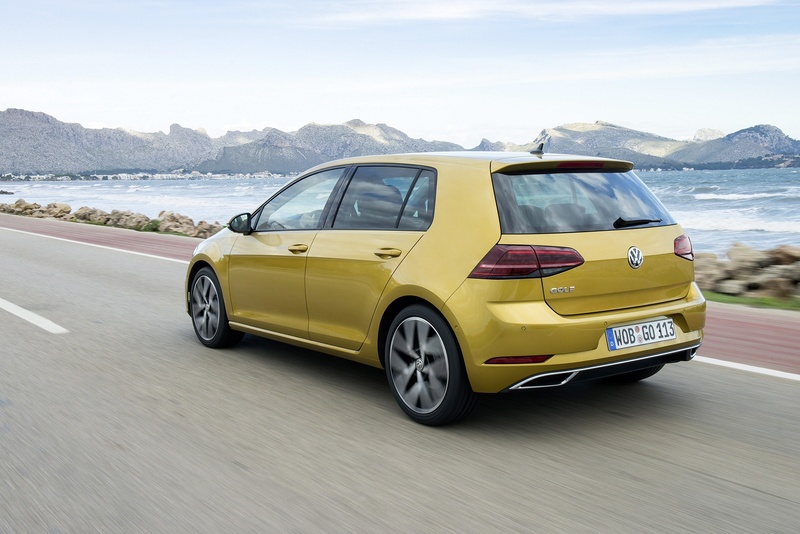 That might sound quite a lot for a diesel Golf but this is one car that grows on you, impressing you day by day with the way it combines entertainment and sheer practicality. There's a £655 premium to go from the three-door bodystyle to the five-door bodyshape that 90% of British buyers choose and from there, you get the option of finding a further £700 more for the estate bodystyle if you want it. A key change with this revised model lies with media connectivity. An 8-inch 'Composition Media' screen now comes as standard. Plus there's the option of a really sophisticated 'Discover Pro' monitor, this being the first Volkswagen infotainment system to offer both touch and voice-command operation, with gesture control in addition to proximity sensors. Your dealer will also want to tell you about the clever 'Media Control' app that can be used if your Golf's infotainment set-up incorporates a wi-fi hotspot. Passengers simply connect in their 'phones or tablets via the app, then the entertainment system can be operated from anywhere in the car. As you'd expect, there's full 'Apple CarPlay' and 'Android Auto' compatibility so you can link in your smartphone and use your favourite apps in-car. The Golf 2.0-litre TDI 150 in a typical five-door SE trim fitted with a manual gearbox makes an for an extremely affordable ownership experience. Even when put up against rivals from Vauxhall and Ford, the Golf works out markedly cheaper to own. Over a three year/36,000 mile ownership period, the Golf will cost 51 pence per mile to run, the Focus 2.0TDCi Zetec S will set you back 58 pence per mile while the Astra 2.0CDTi 165 stings you for 72 pence per mile. The Golf wins almost right across the board. It's cheaper to insure than these rivals, it gets much better fuel economy, residual values are way better and, believe it or not, it's even cheaper to service. Go for a manual car and it'll return 67.3mpg on the combined cycle, while a DSG-equipped model drops that to 62.8mpg. It's a similar story on emissions. A manual nets you 109g/km, while the twin-clutch version emits 117g/km. 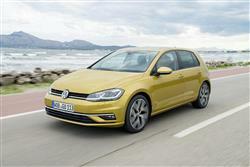 Stop/Start and battery regeneration systems help the Golf TDI 150 to these exemplary figures. If you�re looking for a new Volkswagen Golf 2.0 TDI SE 5dr Diesel Hatchback for sale, you�ve come to the right place. At Bristol Street Motors we don�t just have the best Volkswagen Golf 2.0 TDI SE 5dr Diesel Hatchback deals, we also offer friendly advice and help with all your enquiries to ensure your buying experience is a happy experience.